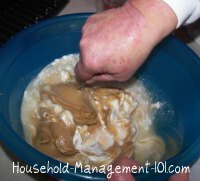 Here is an easy peanut butter fudge recipe, with step by step pictures, that you can make as one of your Christmas candy recipes this year. I don't know about you but I love Christmas fudge around the holiday, because it reminds me of my childhood. 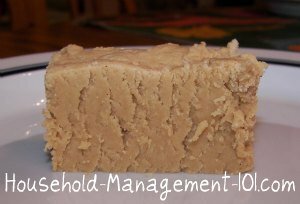 My grandmother used to make the most delicious peanut butter fudge every Christmas, but I never learned the recipe before she passed away. This recipe tastes just like the one from my childhood, and I loved it so much when I tasted it from my mother-in-law that she offered to show me how to make it. This recipe has been in my husband's side of the family for years, and my mother-in-law got it from her own mother. I have always been scared to make fudge, because I thought it was pretty difficult. 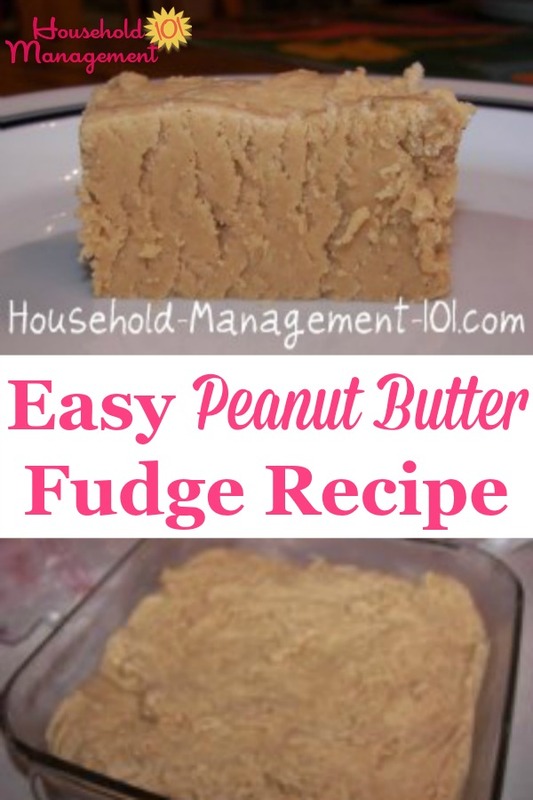 That is why I loved this easy peanut butter fudge recipe, because it wasn't difficult at all. 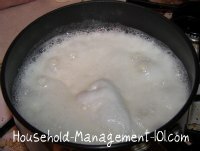 Combine your sugar and milk in a small pan and place over low heat (see picture to the left). Stir to combine, but once it is combined do not stir it anymore. 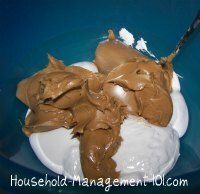 This next step is the hardest part of this whole easy peanut butter fudge recipe, and that is figuring out when the mixture is hot enough, but not too hot. My mother-in-law is old school, and she doesn't use a candy thermometer . Instead, she actually tested the mixture by dripping a bit into water to see when it would come to the "soft ball" stage for candy making. This is the temperature you want your sugar and milk mixture to be when you take it off the heat. Don't know what the "soft ball" stage means? Don't worry, neither did I. Basically it means that when you drip a small amount of the boiling mixture into cold water it should be able to form a soft ball that easily looses it shape. Personally, I think it is easier just to use a candy thermometer, so I googled for you what temperature is the "soft ball" stage, and it is 234° F.
Once your sugar and milk mixture is the right heat, proceed immediately to the next step. As soon as the sugar and milk mixture is at the soft ball stage of the candy making process pour it into the bowl with the other ingredients. It will not be runny, but will continue to be rather firm if you've done it correctly. Finally, once it is all combined just pour/spread the mixture into a buttered 8x8 pan and let it cool. 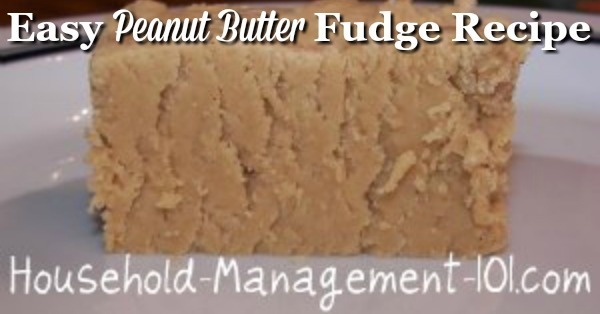 The next hardest part of this easy peanut butter fudge recipe is letting it cool down before you and your kids eat some of this tasty holiday treat! I hope you enjoy this favorite family recipe, because I know in my house it goes quickly.